"My bosom's lord sits lightly in his throne"
​Romeo’s “bosom’s lord” is a metaphor for the heart. 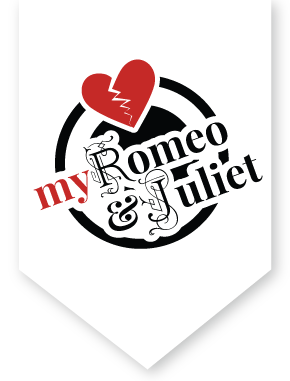 One way to interpret this line is that Romeo's heart sits lightly in his body; he’s feeling lighthearted. Or, alternatively, his love sits lightly in his heart, because he has dreamed of joyful news. Dreams often make things seem better than they are, but if I believe the dreams I’ve had, I’ll be getting good news shortly. I feel lighthearted, and I’ve been in an unusually good mood all day. I dreamed that I was dead--isn’t it strange how in dreams you can think when you’re dead? I dreamed I was dead, and then Juliet found me and kissed me, bringing me back to life. I became an emperor. Love is so wonderful that even dreams of love can bring so much joy. [Enter Romeo’s servant, Balthasar] What’s the news from Verona, Balthasar? News from Verona! How now, Balthasar! You have letters for me from the friar, don’t you? How’s my lady, Juliet? How’s my father? How’s Juliet? I ask again because if she is well then nothing else matters. Well, she is well in the sense that no more misfortune can touch her. Her body lies in the Capulet family mausoleum, and her soul is with the angels above. I attended her burial, and then I immediately came to bring you the message. Oh, forgive me for bringing you this horrible news, but that was the duty you assigned me, sir. "Then she is well, and nothing can be ill."
This line recalls the proverb, "he is well who is in heaven." Balthasar is breaking the news to Romeo softly, telling him that Juliet has died, without saying as much. And hire post-horses. I will hence tonight. Is it really true, she’s dead? Then I defy you, Fate! You know where I’m staying. Get me some pen and paper, and hire some fast horses. I’m leaving here tonight. I beg you sir, have patience. You look pale and a bit crazy, and I’m afraid you’re going to do something desperate. No, no, you’re wrong. Leave me alone, and do what I asked you. You don’t have any letters to me from the friar? Well never mind. Go and hire those horses, I’ll catch up to you very soon. Well, Juliet, I’ll sleep with you tonight, in the crypt. Let’s see how I can end my life. How quickly desperate men find ways to kill themselves! I remember an apothecary who lives around here. I saw him recently walking around with tattered clothes and wild eyebrows, gathering medicinal plants. This exact thought came before my need to act on it, and this very needy man will have to sell the poison to me. If I remember correctly, this is the house. It’s a holiday, so the beggar’s shop is closed. Hey, hello, apothecary! Come here, man. I see you are clearly very poor. Look, here’s forty ducats. Let me have an ounce of poison, the kind that will work speedily to bring an end to the life of a world-weary man. Give me a poison that will stop a man’s breathing as suddenly as if he’d been shot by a cannon. I have those types of fatal drugs, but it is a capital crime in Mantua to sell them. Can you be this poor and close to starvation and worried about the death penalty of all things? "As violently as hasty powder"
In this simile, the poison Romeo will take will cause the breath to leave the body as quickly as the air rushes out of a canon when the gunpowder is lit. I can tell that you’re starving from your gaunt cheeks, and your eyes tell me that you are desperate and in need. The tattered rags on your back clearly indicate that you’re extremely poor. The world has not been a friend to you, nor have its laws. You haven’t been able to become richer by following the law, so break it, take the money, and don’t be poor. My desperate poverty, and not my will, agrees. Well then I’ll pay your poverty and not your will. Put this in any liquid and drink it. It would kill you right away even if you had the strength of twenty men. There’s your payment. Gold is a worse poison to the souls of men and causes more murders than any of these poisons you aren’t allowed to sell. Really, I’m the one who has sold a poison here, not you. Farewell. Buy food, and nourish your body. Come on, powder, you’ll be like an antidote to me, not a poison. Come with me to Juliet’s grave--that’s where I’ll need to use you. To Juliet's grave, for there must I use thee.